Hi guys! We all know about God's own country i.e. Kerala, the southernmost state of India. We have heard about or seen the most famous places in Kerala. But there are still a few places in the state which are hidden from the glares of explorers and travelers alike. And they are as beautiful or even more beautiful than their more illustrious and famous cousins. One such place is Vagamon. 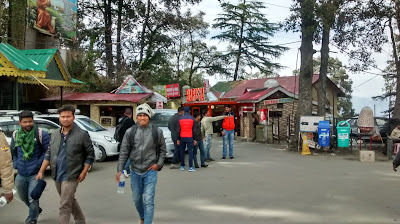 A small but naturally beautiful hill station. 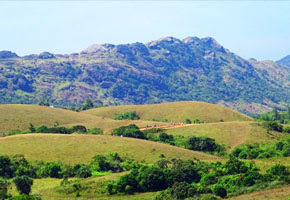 Vagamon is situated on the Kottayam Idukki border of Kerala. A small sleepy town with tea plantation as the major occupation, it is always covered in green. Located at an altitude of 1200 m(4000 ft), it has lush green hills, enchanting ravines and serpentine small rivers to bolster it's beauty. 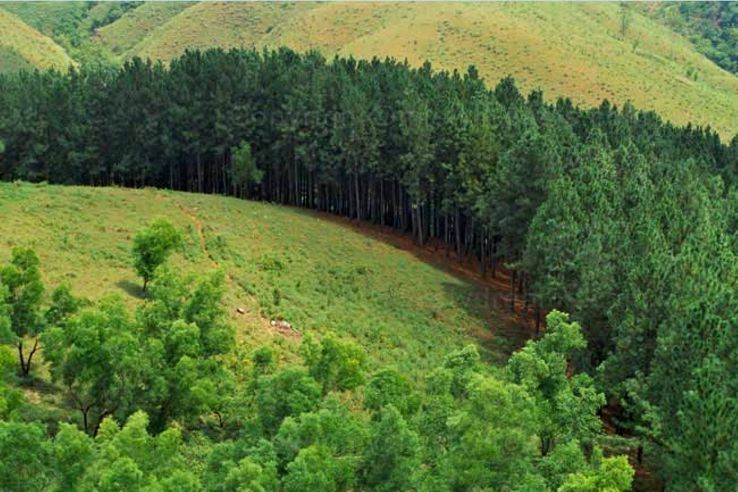 Vagamon is surrounded by small waterfalls, attractive meadows, beautiful pine forest and lush green deep valleys. The cool fresh air of the place is a boon. It also has many varieties of flowers and orchids. It has a chain of three hills namely Murugan Hill, Kurisumala Hills and Thangal Hills. Vagamon has plenty of places to explore and each of them has a unique charm about it. Marmala waterfalls is the most beautiful place with greenery all around. 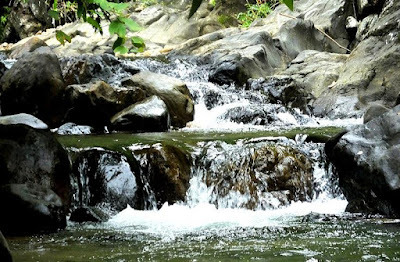 This small waterfall is situated inside a private property on the Erattupetta road and was relatively unknown until recently but it has started attracting travelers now. The peaceful and serene atmosphere at this place is as good as in Vagamone itself. The tranquility you will experience here will make you come back again to Marmala waterfalls. Thangalpara is another must see place. 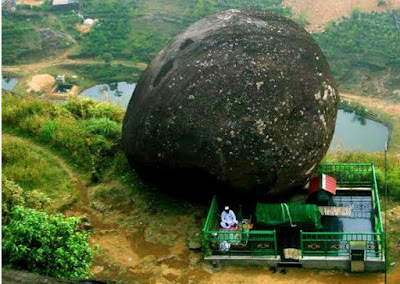 It has some religious significance also, as it is believed to have been a resting place of revered Sufi Saint Hazrat Shikh Fariduddin Baba. It is basically a huge rock at the edge of a precipice. But beside that, Thangalpara is one place, which offers the most beautiful view of the valley below with hills all around. The entire valley is visible from this point. 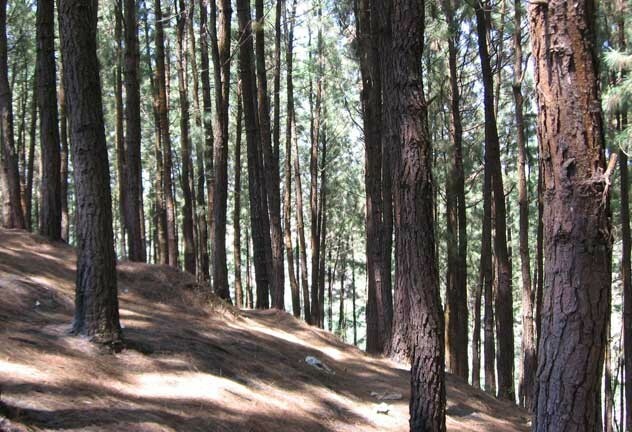 Pine forest is a heaven for any forest lover. It is a man made forest, it was created during British era and is a popular spot for movie shootings. 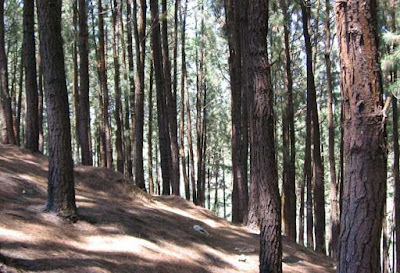 You can enjoy long walks in the midst of pine trees in calm and serene surroundings or you can sit and relax under a pine tree. And the best part is that Pine forest overlooks entire Vagamon valley. 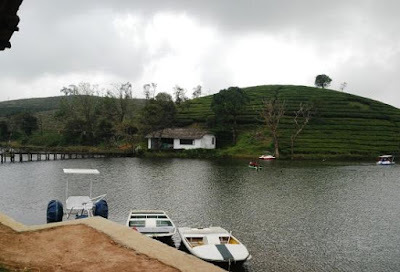 If you love boating or rowing, Vagamon lake is the place for you. Though not very big or huge, this lake offers ample opportunities to indulge in your favorite water activity. With mountains all around, it gives a thrilling feeling, being in this lake. Vagamon lake also provides a perfect view of amazing sunrise and sunset of the hills. 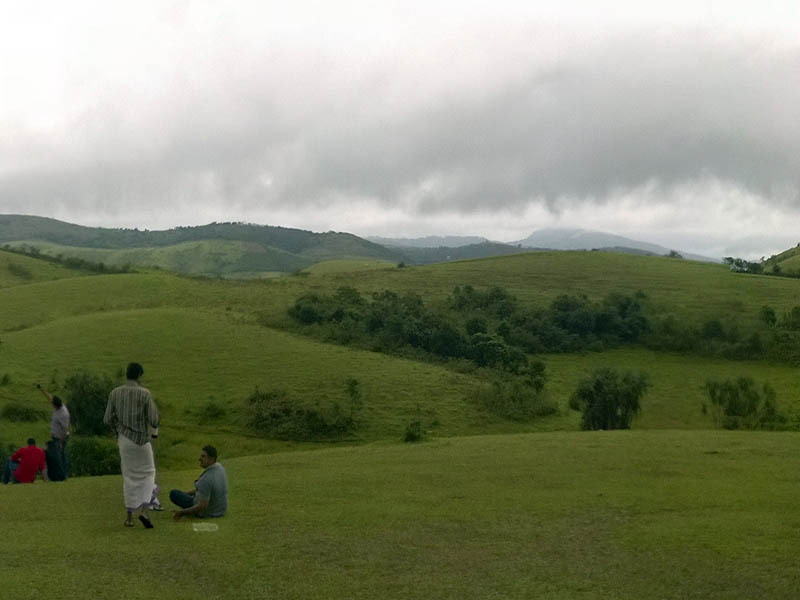 Barren hills(though not in the true sense) is another magnificent place to visit in Vagamon. Barren hills are not always barren. They become green and barren in turn depending on the season. So depending on the season in which you visit this place, you can watch the hills going bare and then lush green again and back to bare. This is an amazing sight. There are many opportunities in Vagamon to indulge in adventure. You can go cycling on the curvy mountains. And lately, adventure sports activities like Paragliding, Trekking and Rock Climbing have become available for the enthusiasts. In fact, Vagamon has started hosting International Paragliding festival every year, which is becoming increasingly popular. 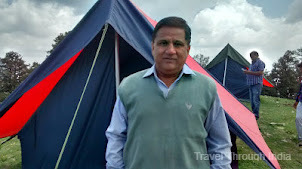 If you go to Vagamon, it is a must to try out some adventure sports and it is always better to have prior booking of such activities from sites like togedr.com, which offer excellent services for adventure activities. Reaching Vagamon is an enchanting experience in itself. As you meander through pine forests and lush green hills, you get a mesmerizing view of the valleys and rolling plains below. 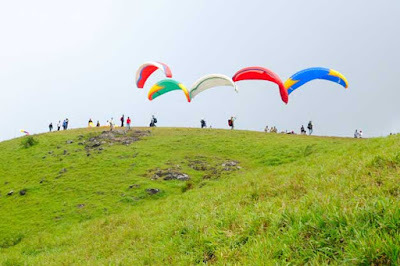 Air - The nearest airport to Vagamon is Cochin, which is well connected to other major cities. It is 107 km (66 mi) away. You can hire a taxi or get a bus from Cochin to get to Vagamon. Rail - Vagamon doesn't have a railway station of it's own. The nearest railway station is Kuttikanam, which is 22 km(13.5 mi) away. Another station is Palai, which is 33 km(20 mi) away. A major railway station Kottayam is located 65 km(40 mi) away. You can hire taxi or buses from any of these places to reach Vagamon. Road - Vagamon is very well connected by beautifully laid road to all the major cities of Kerala. You can get buses directly from Cochin, Trivandrum, Madurai and Kottayam to reach this place. Homestay facilities are available in Vagamon. Besides you can get hotels to suit your budget. You cannot feel Vagamon by just reading or listening about it. It has to be experiences. Blessed by nature, the amazing beauty of the place will give you a memorable experience and will make you visit again.